Betsy Maestro is the author of the "American Story" series, illustrated by her husband, Giulio. She has also written several other non-fiction picture books, including the Let's-Read-And-Find-Out science books: How Do Apples Grow? 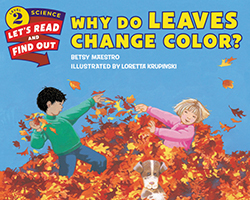 and Why Do Leaves Change Color? The Maestros live in Old Lyme, Connecticut.